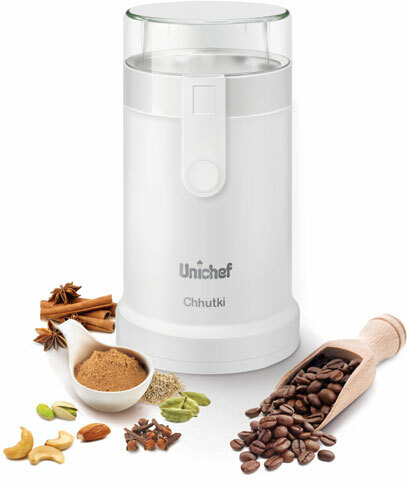 This is a specially designed unique product for dry grinding of spices and other Ingredients such as almonds, pista, cloves etc. For small quantity dry grinding. Handy & easy to operate. The push button Coffee grinder is a product manufactured mainly for small quantity dry grinding of coffee beans, spices like black pepper, dhania and other Indian spices. It is most suitable for grinding of almonds, pista, cloves and cashews etc. The Coffee Grinder is a perfect gift for your kitchen.